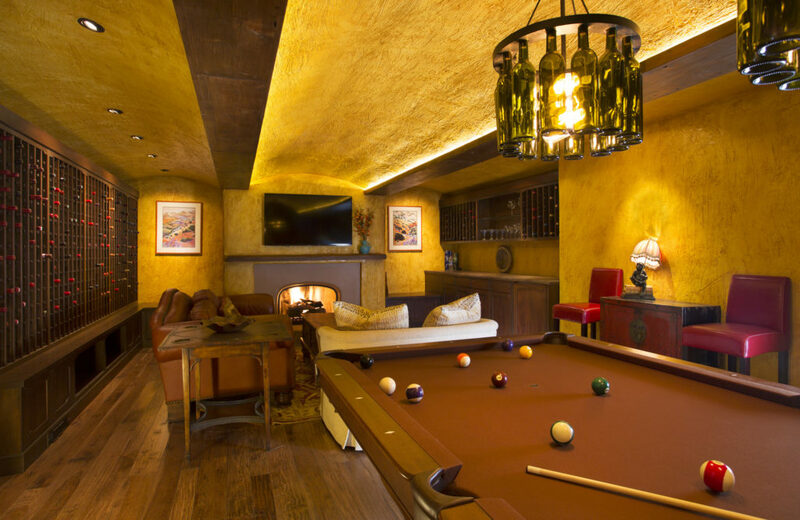 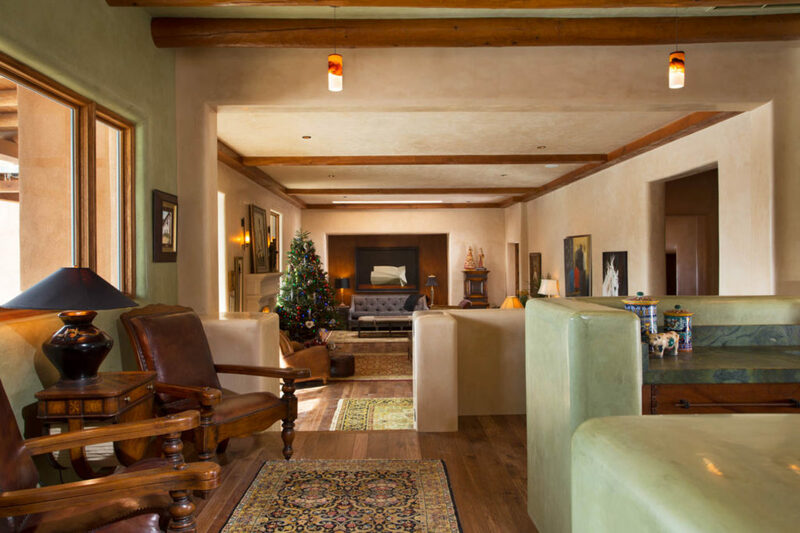 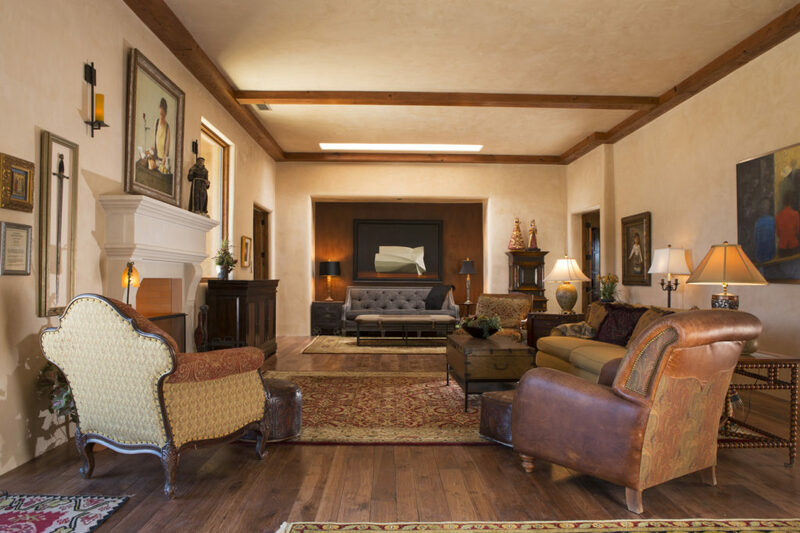 Located in the mountains above Santa Fe, New Mexico, this is a fabulous home that combines traditional Southwest as well as rustic and contemporary touches. 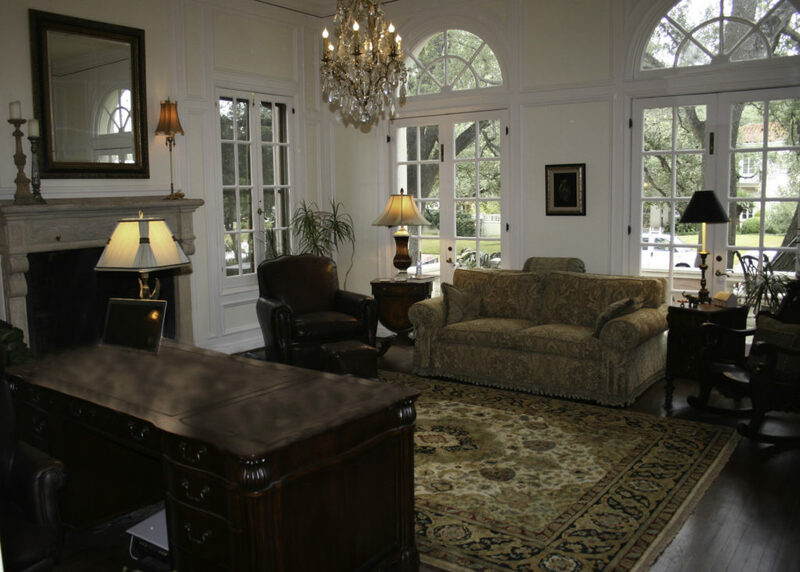 Jennifer completely remodeled the interior. 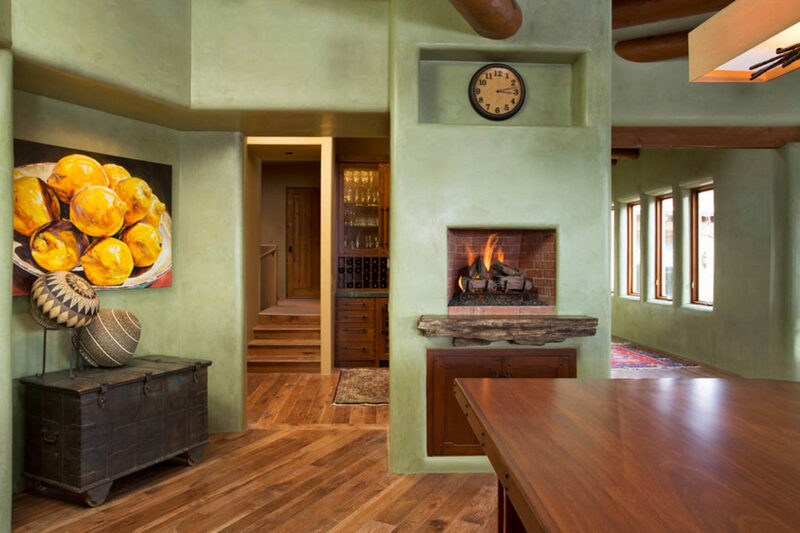 The kitchen/dining rooms are now green plaster. 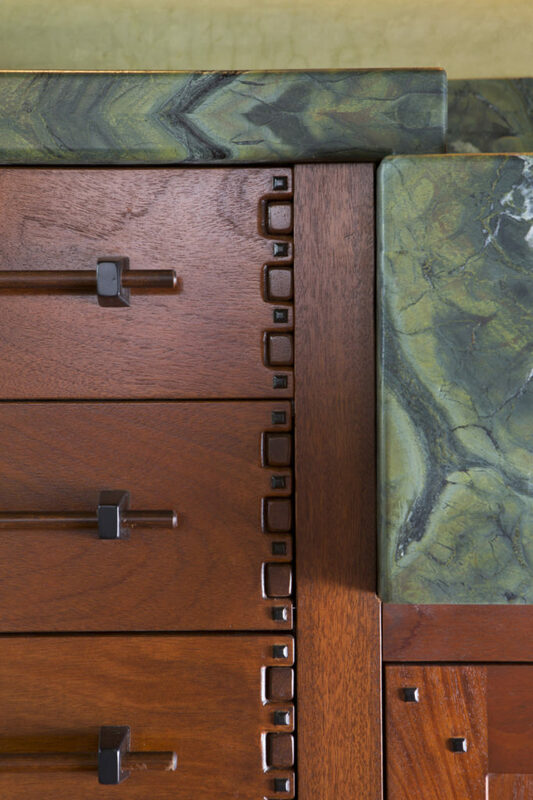 New custom cabinetry was installed echoing the traditions of Greene and Greene Architects who were the masters of the Mission style in the 1920’s. 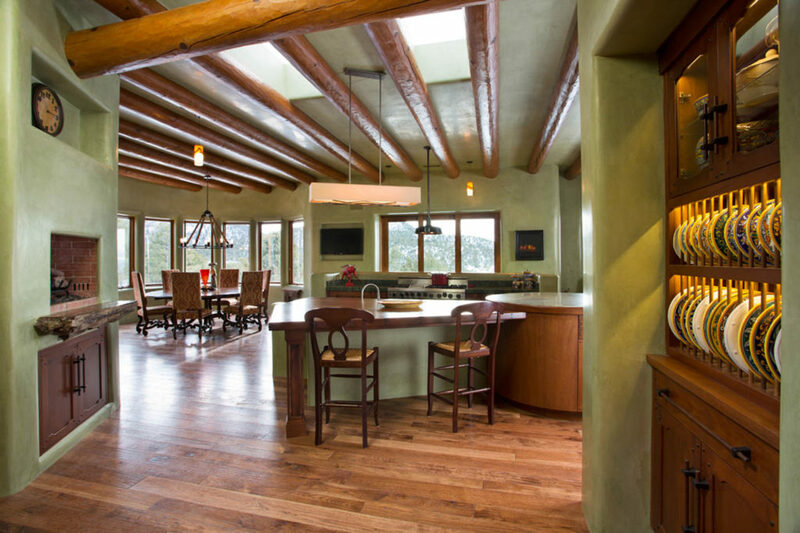 Shiny green granite was sandblasted to create a textured countertop. 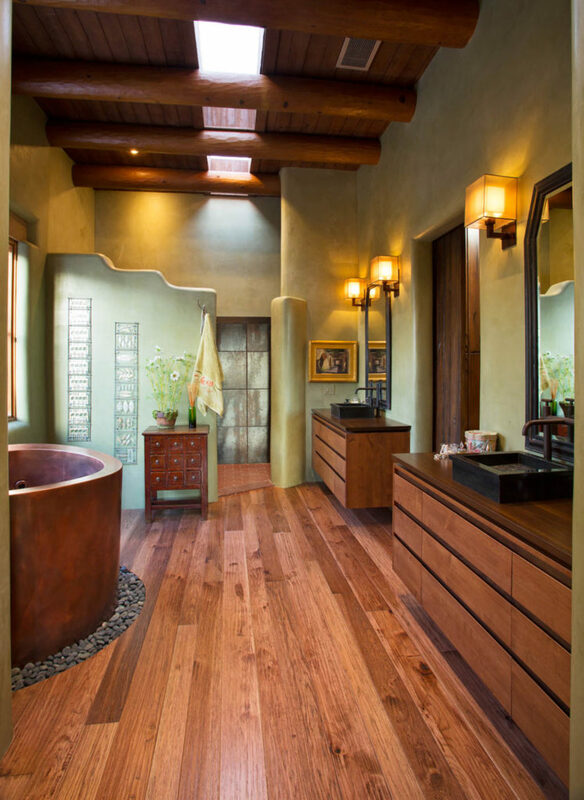 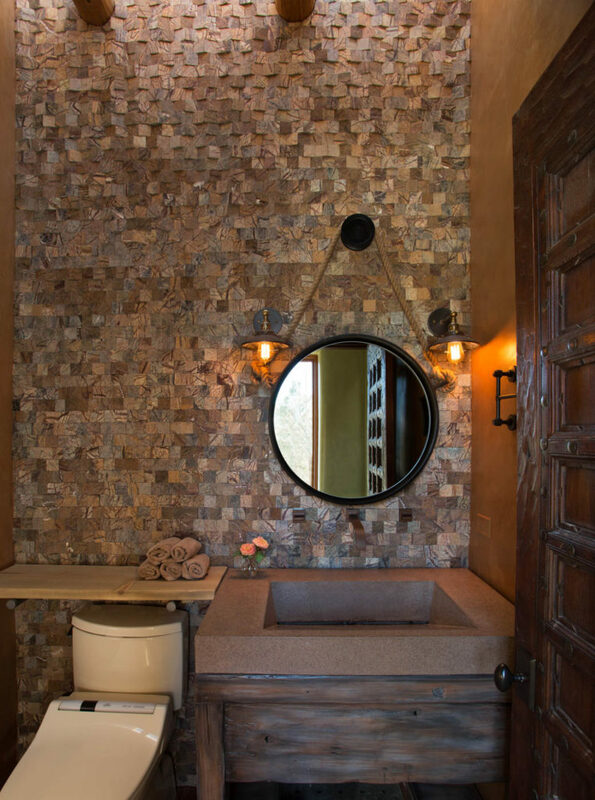 Her bathrooms include a copper sitting tub and tile that is three dimensional. 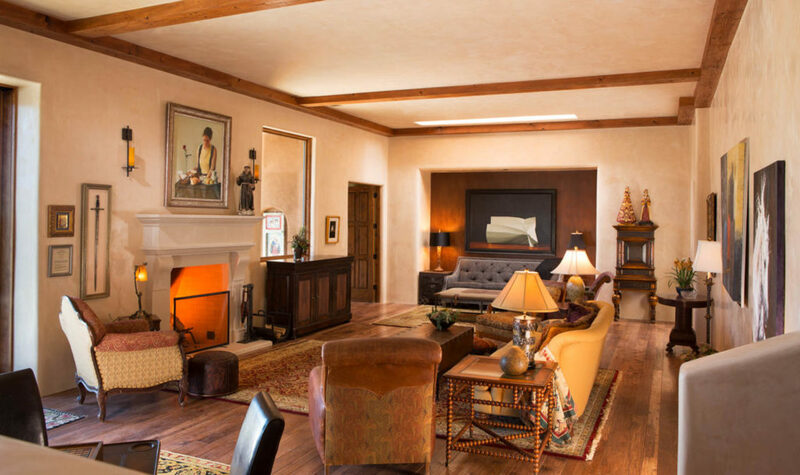 The living room is graced by a traditional stone fireplace that is in contrast to the Southwest visas nearby. 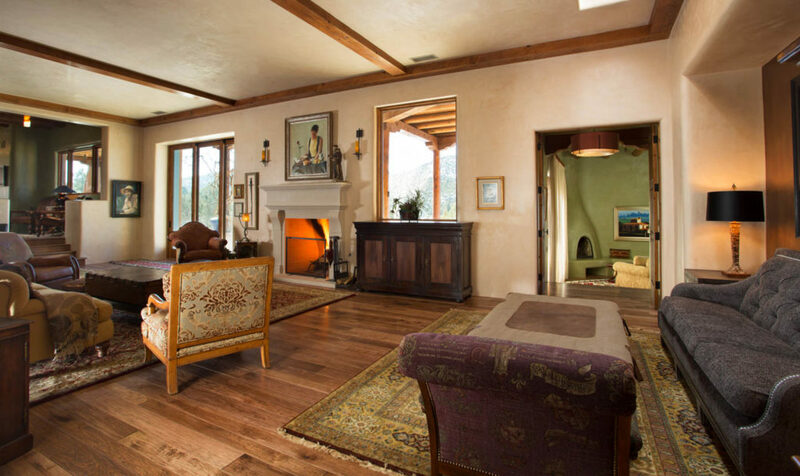 This elegant, sophisticated home is more that is fabulous on a sunny day in summer and cozy on a winter day when there is snow on the mountains.